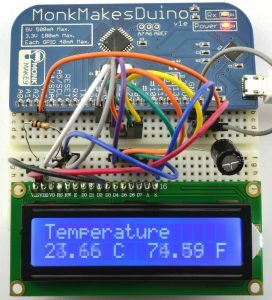 Monk Makes is known for its useful electronic kits and modules. Here is a list of our products, click on a product to visit the product page that will provide more information about the product including: where to buy it, FAQs, documentation, tutorials and community discussions. 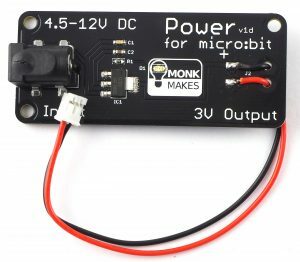 A rechargeable battery for your micro:bit that automatically charges while you are connected by USB. 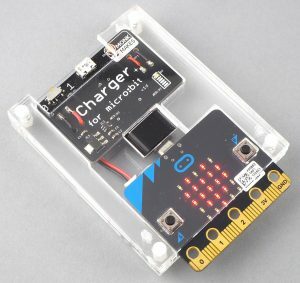 Make your micro:bits mobile without having to continually hunt for AAA batteries. 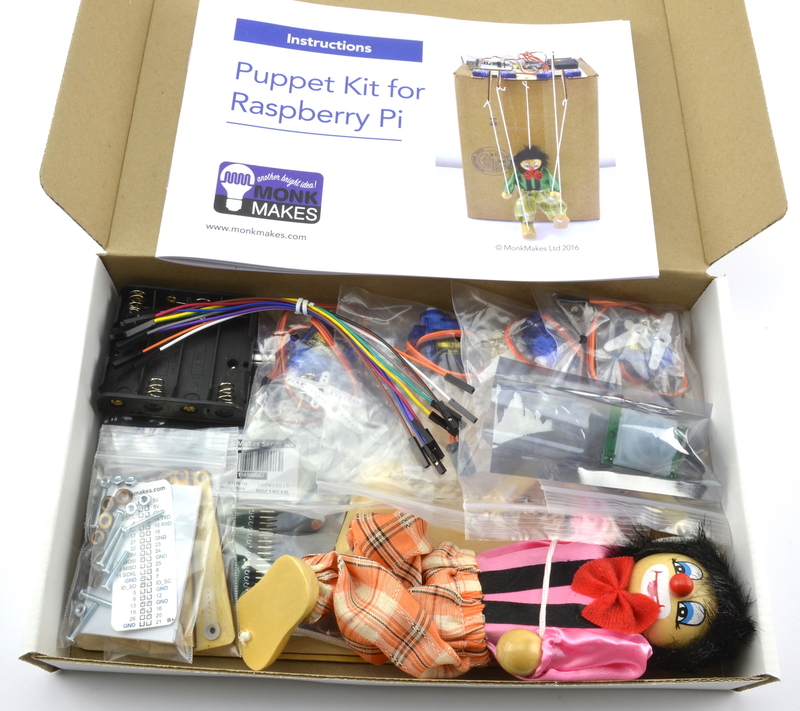 This kit provides everything you need (apart from a micro:bit and batteries) to make a talking animatronic head. 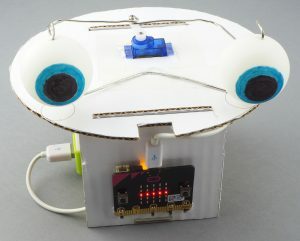 Its eyes move and the head speaks from a MonkMakes Speaker for micro:bit. 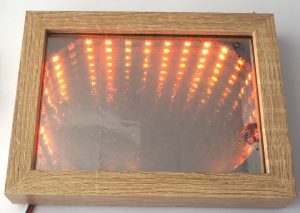 This kit provides everything you need apart from a micro:bit and batteries to make a great infinity mirror. 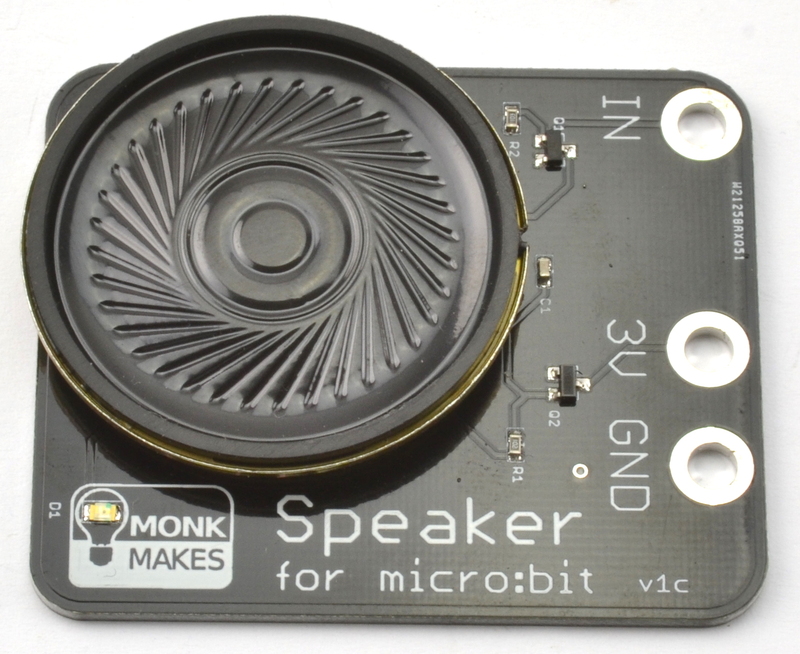 The MonkMakes Speaker for micro:bit is a neat little amplified speaker that connects to the micro:bit using alligator clips. Despite its small size, the speaker is pretty loud. Please note that the individual boards are packed in antistatic bubblewrap bags. 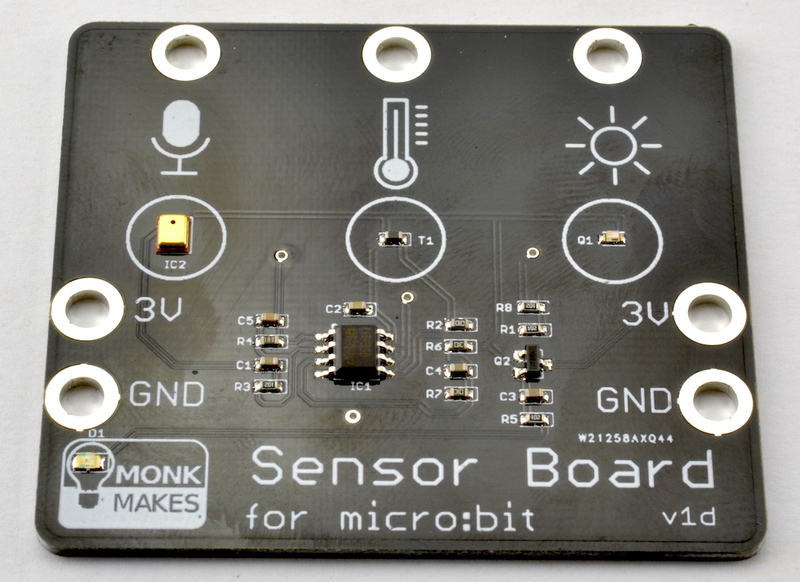 The MonkMakes Sensor Board for micro:bit can be used to measure sound levels, temperature and light levels. 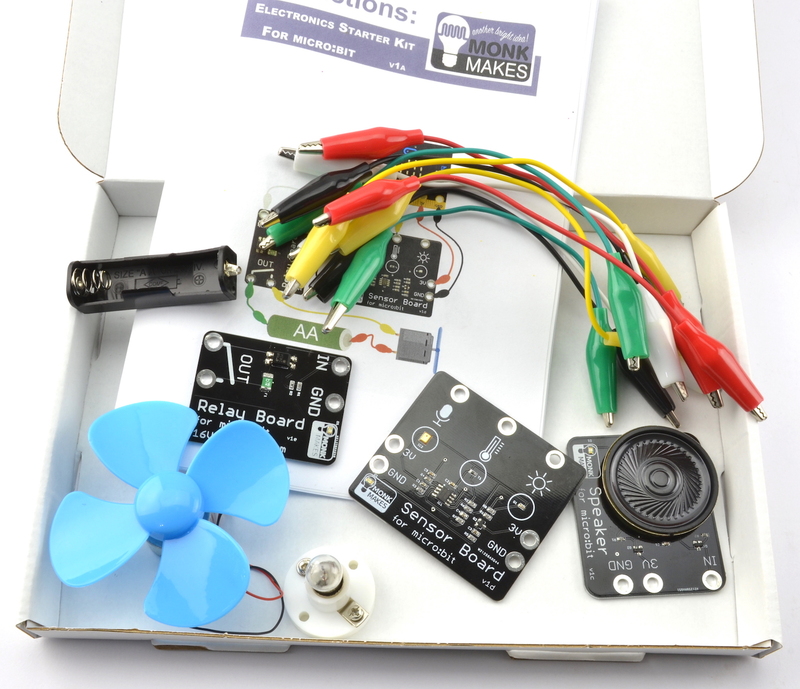 This kit contains everything needed to start learning about connecting electronics to the micro:bit in an accessible and easy manner. 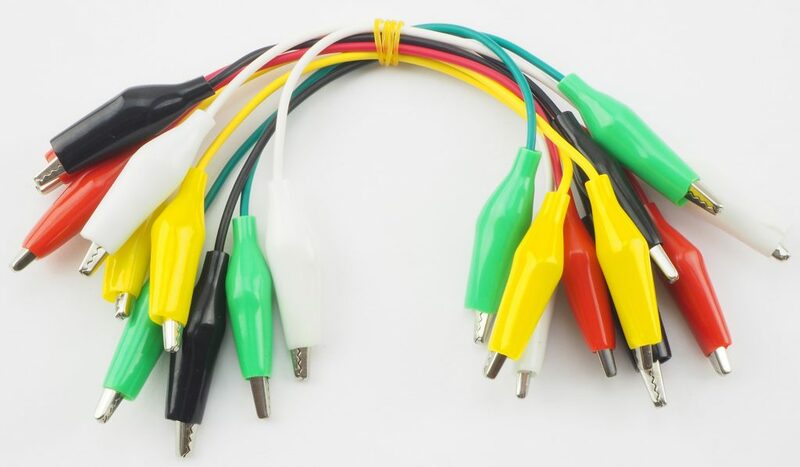 Everything is connected using the supplied alligator clips, so no soldering required. This kit suitable for children as young as 10 with some adult help. 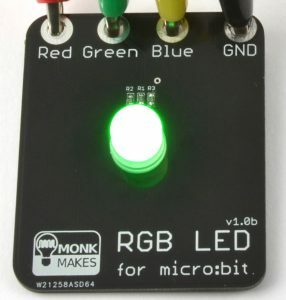 The MonkMakes RGB LED is an LED that can be used to make any colour. 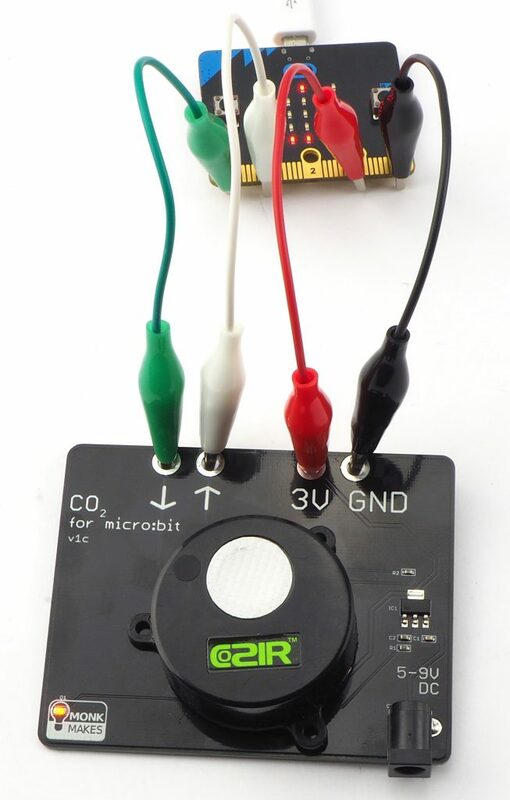 Handily mounted on a PCB it connects to the micro:bit using alligator clips. Perfect for micro:bit, our leads are supplied in a bundle of 10. Two each of black, red, white, green and yellow. Each lead is 185mm (7.5 inches) long from tip to tip. Powered directly from micro:bit pins it can be used to send messages to the display using the micro:bit’s Serial blocks. 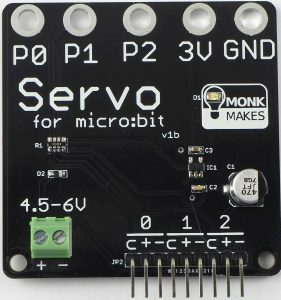 Servo for micro:bit provides a really easy way to attach up to three servomotors to a BBC micro:bit. 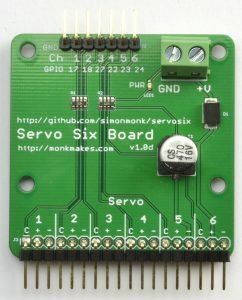 The board requires a power supply or battery pack to provide 5 or 6V to the servomotors. It includes a voltage regulator that will supply 3V back to the micro:bit. 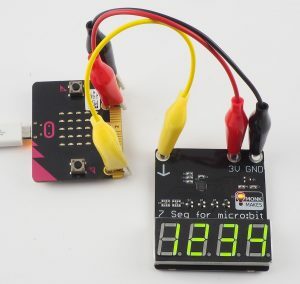 The board has a standard DC barrel jack that accepts between 4.5 and 12V and provides a regulated 3V output to the micro:bit via its JST battery connector. 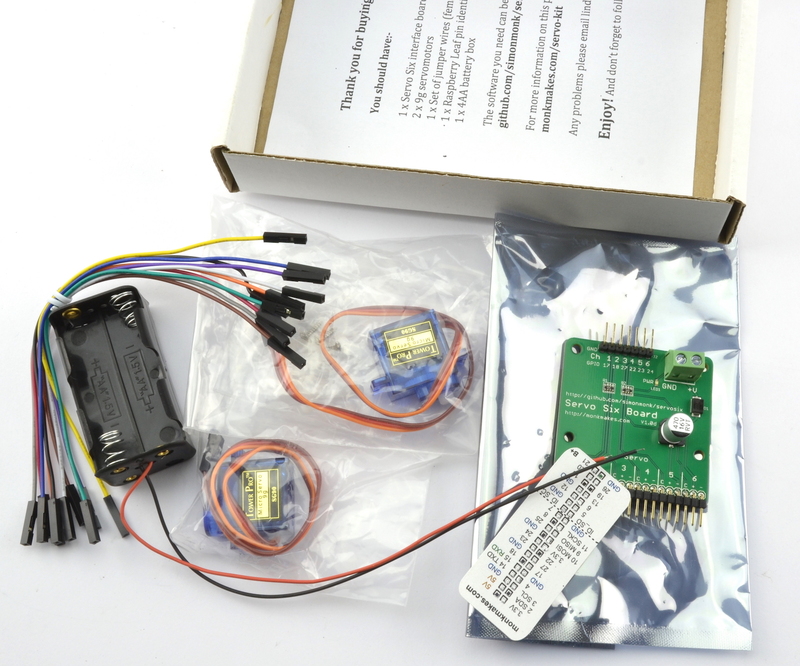 The Raspberry Pi Electronic Starter Kit contains all the components needed, together with easy to follow instruction cards, in order to complete 10 simple experiments involving LEDs, thermistors, photoresistors and switches and is an ideal starting point for anyone new to electronics and the Raspberry Pi. 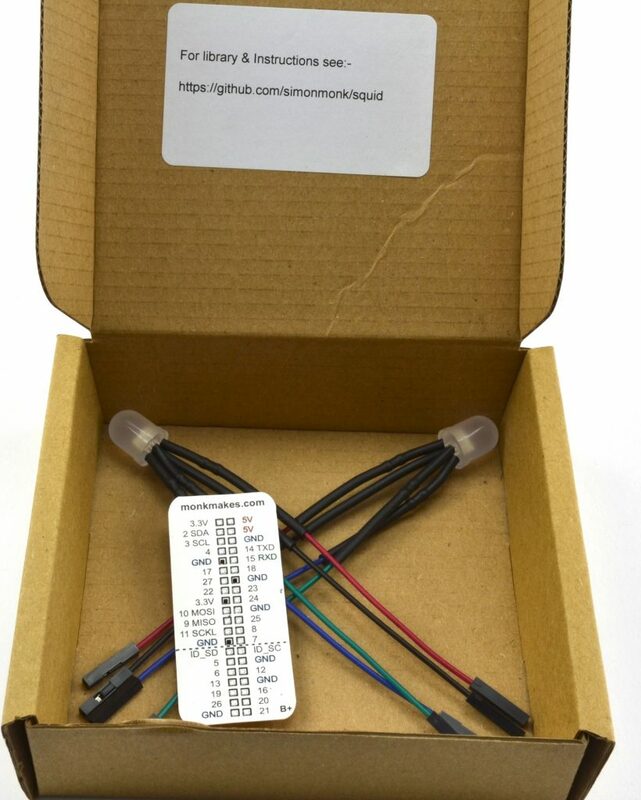 Pack of two Raspberry Squids – A bright RGB (Red, Green, Blue) LED with built-in resistors and female header leads that can just plug directly onto the GPIO pins of a Raspberry Pi. 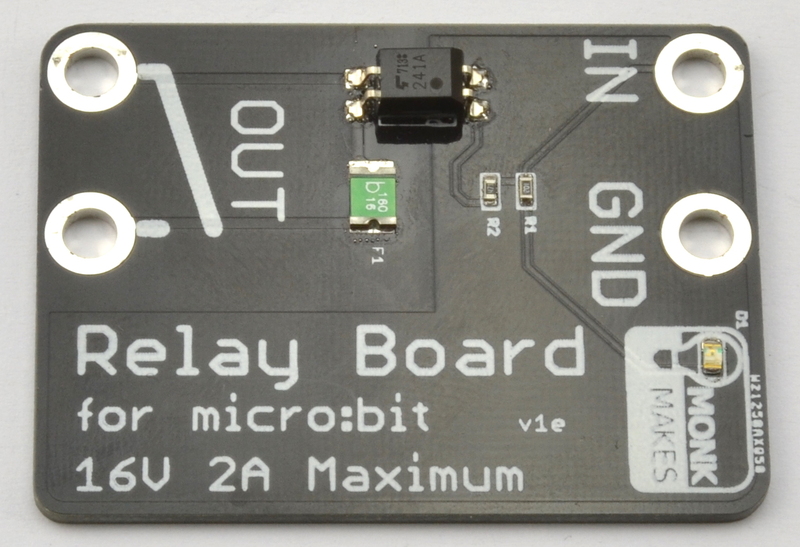 This product includes a Raspberry Leaf GPIO Identification template. A bright RGB (Red, Green, Blue) LED with built-in resistors and female header leads that can just plug directly onto the GPIO pins of a Raspberry Pi. Please note individual Squids are packaged in a clear plastic bag. 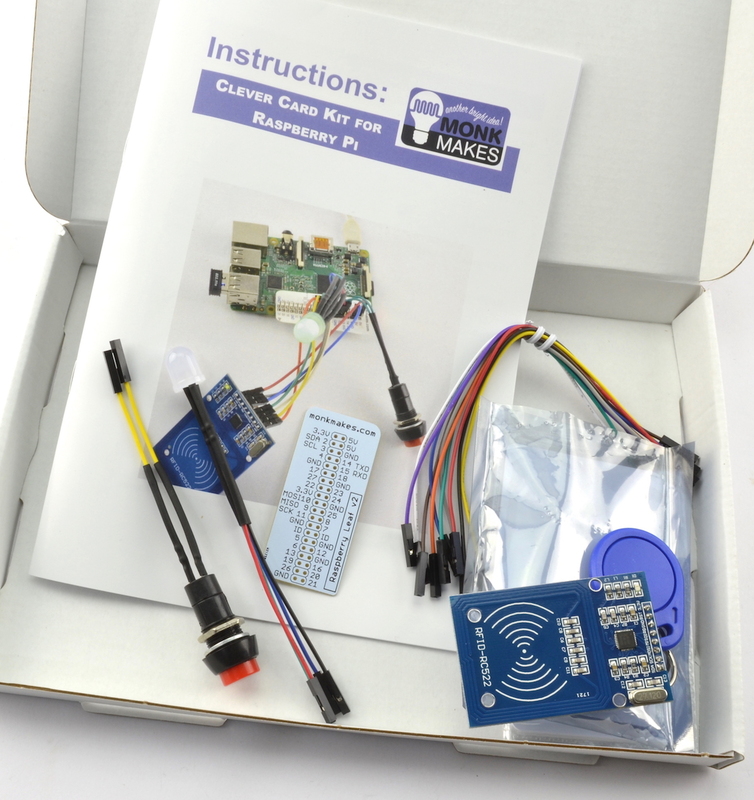 The Button Twin Pack consists of two Raspberry Squid Buttons (non-latching) and a Raspberry Leaf GPIO template. The Squid Button is a momentary action push switch with trailing leads that end in female header sockets that will fit over GPIO pins on a Raspberry Pi, Node MCU or Particle Photon. To reduce the chance of accidental short-circuits when using the Button, each Button has a built-in 470Ω resistor that does not affect the switching action when connected to a GPIO input, but does mean that if the switch is accidentally connected across power connections your Raspberry Pi will not come to any harm. The Squid Button LATCHING is a latching (click-on, click again off) push switch with trailing leads that end in female header sockets that will fit over GPIO pins on a Raspberry Pi, Node MCU or Particle Photon. To reduce the chance of accidental short-circuits when using the Button, each Button has a built-in 470Ω resistor that does not affect the switching action when connected to a GPIO input, but does mean that if the switch is accidentally connected across power connections your Raspberry Pi will not come to any harm. The Squid Combo Pack comprises a Raspberry Squid RGB LED, two Squid buttons (non-latching) and a Raspberry leaf to help identify the GPIO pins. 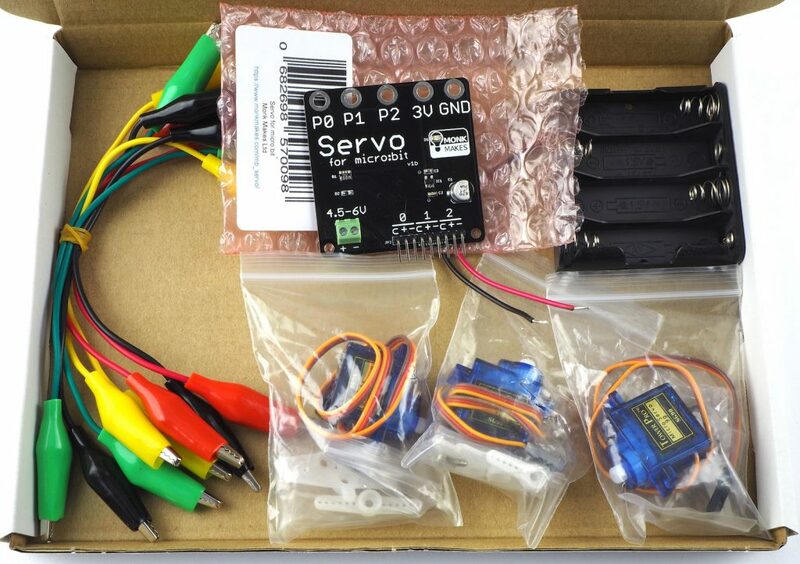 This kit includes 2 servo motors and a Monk Makes ServoSix interface board for use with Raspberry Pi. 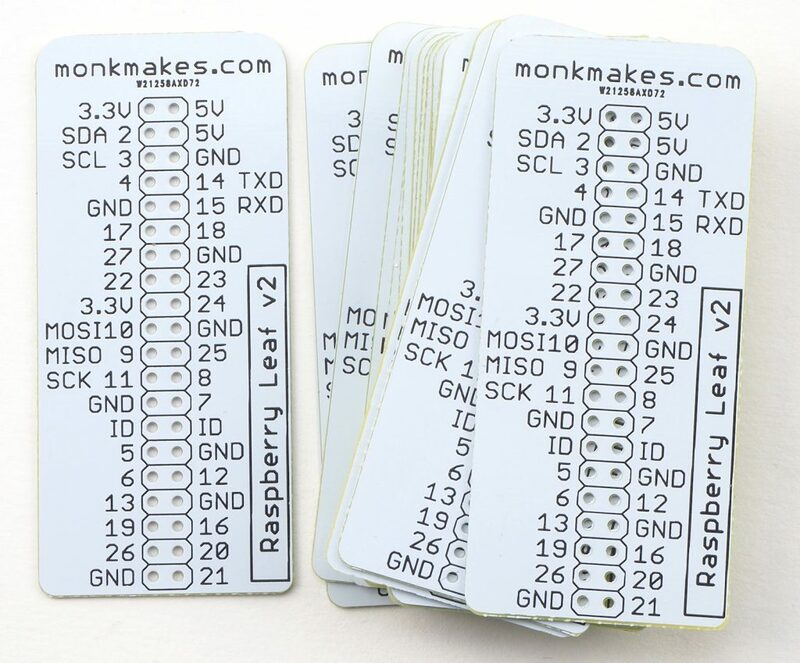 The MonkMakes Clever Card Kit for Raspberry Pi provides hours of entertainment building projects that can read and write from 13.5MHz contactless RFID smart cards. The Raspberry Leaf GPIO template is a great way of identifying the GPIO pins on your Raspberry Pi. 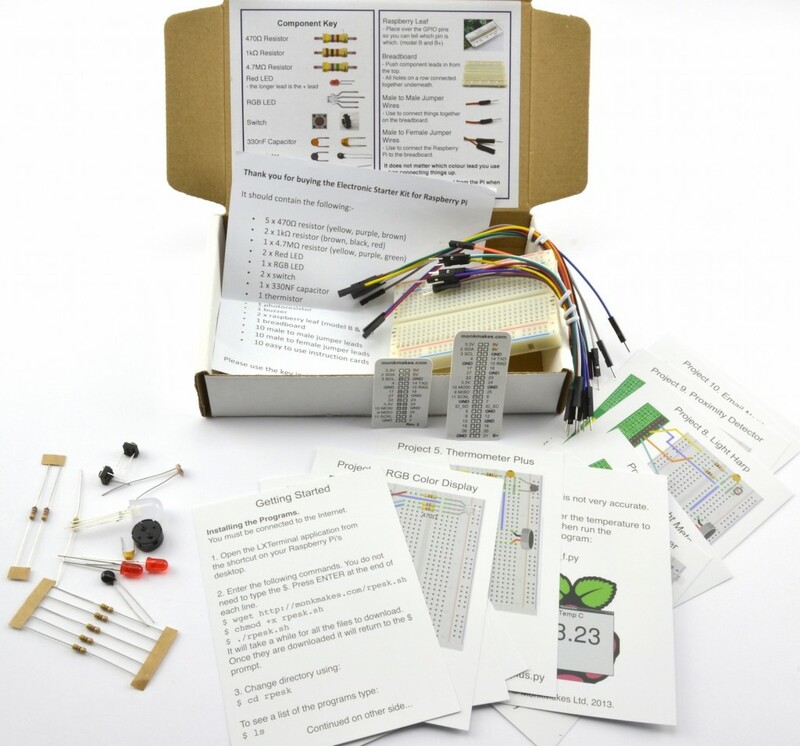 This classroom pack contains 20 Raspberry Leaf GPIO templates. This little box of bits from MonkMakes is a collection of the most used components from Simon Monk’s books. 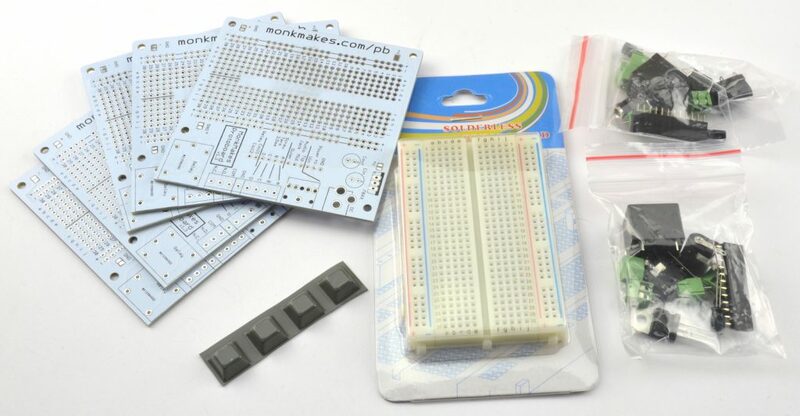 This kit provides you with a good selection of the most useful components. 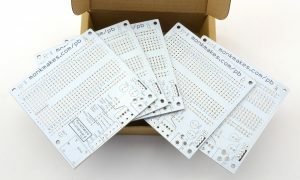 Go from solderless breadboard design to a neat soldered solution that works with connectors that don’t play well with breadboard using the MonkMakes Protoboard kit. 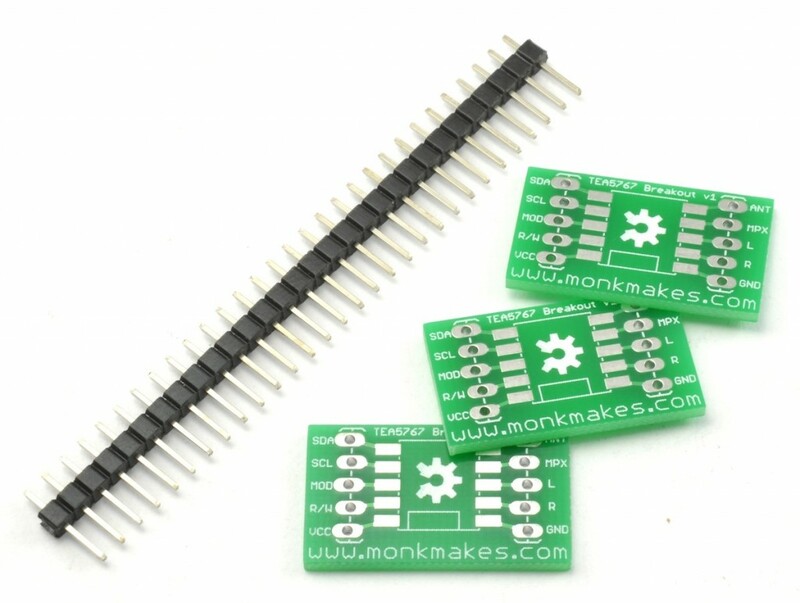 This is a twin pack of side components for the MonkMakes Protoboard. 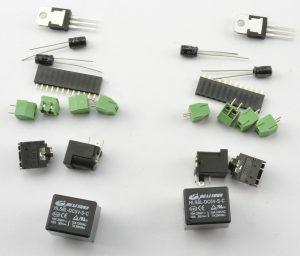 It includes relays, components for a 5V power supply and connectors. Packaged in small cardboard box. 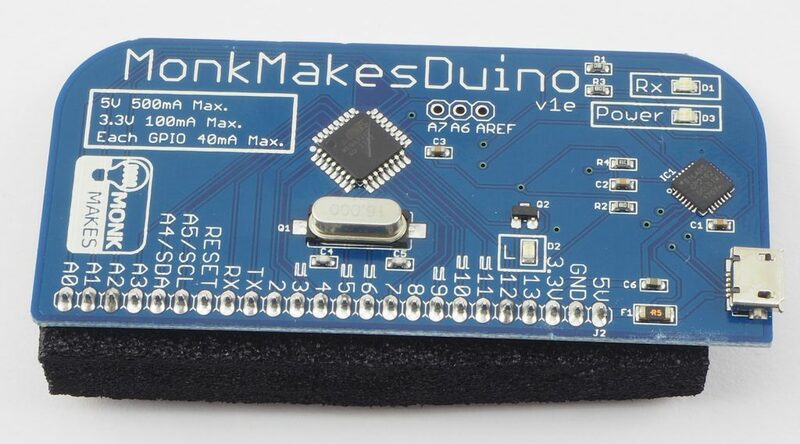 The MonkMakesDuino LCD Kit provides plenty of entertainment building projects and learning how to program and use the MonkMakesDuino Arduino-compatible board. This is an Arduino Uno compatible board designed for ease of use with breadboard. 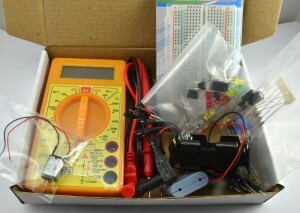 This kit of parts is designed to help to get started with electronics. 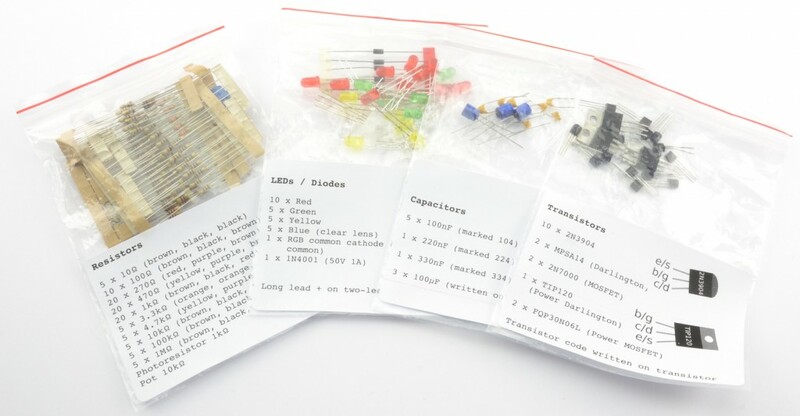 It is a useful general purpose starter kit but was originally designed to accompany the book Hacking Electronics: An Illustrated DIY Guide for Makers and Hobbyists by Simon Monk. 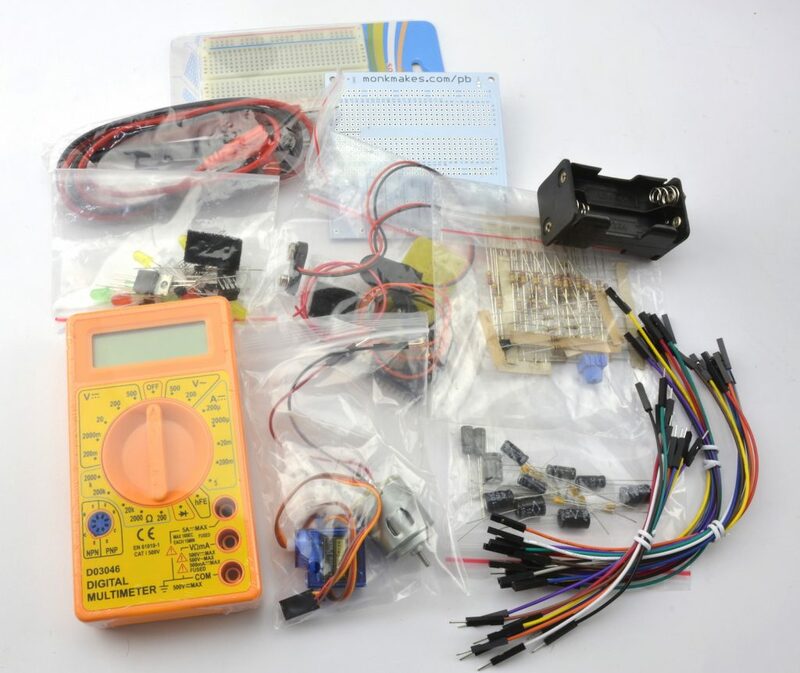 To accompany the release of the second edition of Simon’s book ‘Hacking Electronics’ in October 2017 the original Hacking Electronics Starter Kit has been extended to produce the Hacking Electronics Mega Kit. 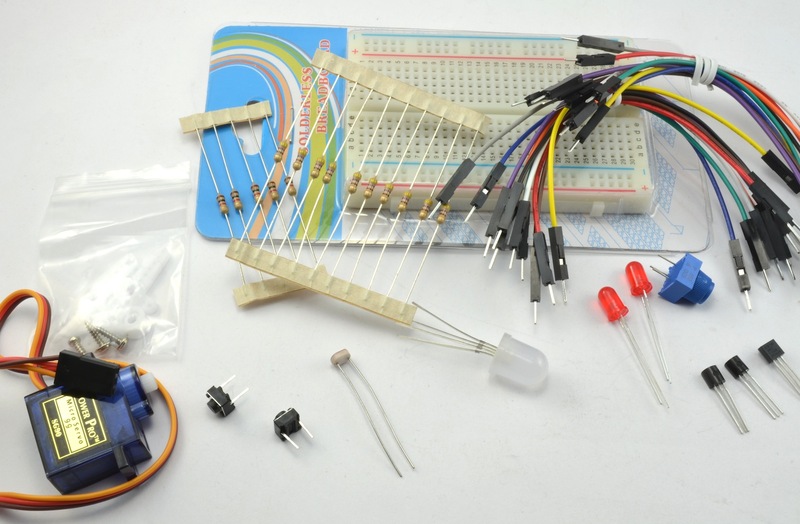 It provides a good set of components to make many of the projects in the book, as well as providing a great basic kit of parts to get started on an electronics adventure. 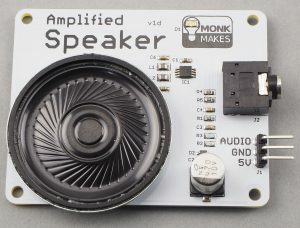 The MonkMakes Powered Speaker is an easy to use amplified speaker on a PCB. 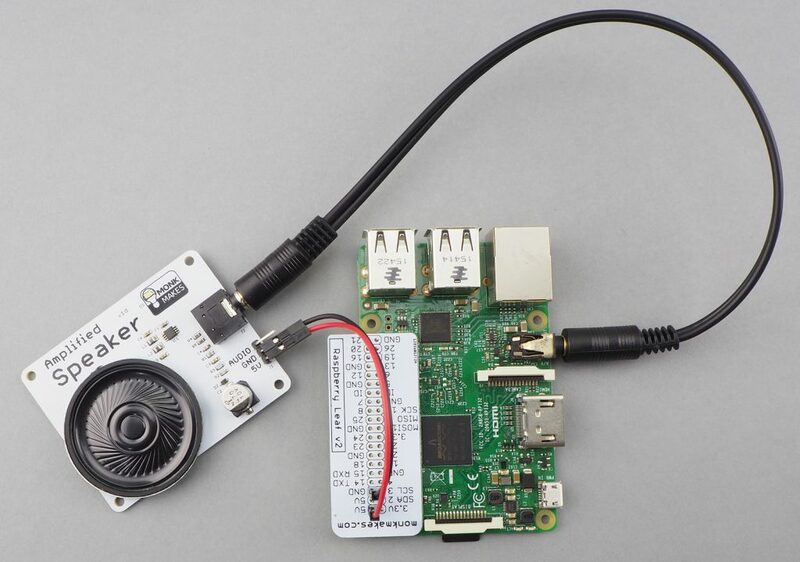 The board needs a 5V power supply that can be provided by a Raspberry Pi or Arduino. Audio input will normally be to the 3.5mm stereo audio jack socket, which is mixed to a mono signal as there is just a single speaker on the board. Note that these are sold in a pack of three breakout PCBs.